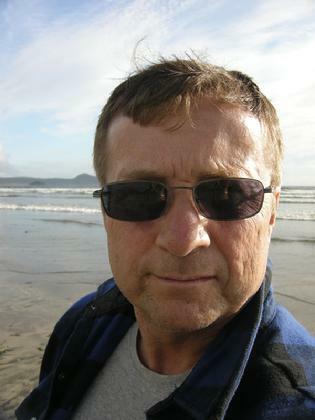 Michael Tidemann is a journalist, freelance writer and adjunct English instructor living in Estherville, IA. His recent publications include a travel piece in the Des Moines Register, an article on writing your local history in Writer's Journal, a short story in Struggle magazine, and three short stories, "The Elk", "The Funeral" and "Seeking Sacajawea" in the last three issues of The Write Place At the Write Time. His novel, Doomsday: A tale of cyber terror, is currently out in Kindle and in print. He is currently working on a short story collection entitled, Letters from Elk City: And other stories. I decided to become a writer to figure out the world around me. Since then, writing has impacted my life as well. Let me give you an example. I dedicated my novel Doomsday to a girl I knew in high school. She died in a car accident nearly 30 years ago, and was buried in a country cemetery on land my father used to own. The further I got into the novel, the closer I felt to her. In fact, she gave me a lot of advice on how to write it - I couldn't have written it without her help. By the time I had finished the novel, I had fallen in love with her. So I bought the grave plot next to her for myself. I like to do photography, particularly of the Pacific Northwest. I've had a few exhibitions. I also just recently picked up the guitar and I'm looking forward to irritating the loons on Lake Superior in June and the gulls on the beach in Oregon in July. Without art, we have no humanity. Picasso drew inspiration from cave paintings in France. As Jung said, we're all connected. I feel that when we fully engage in the artistic process, all barriers of space and time shatter. That's how a girl who died nearly thirty years ago helped me write my novel.